Carlos Duarte knows that he's fabulous. He's got a better sense of style than half the fashionistas in New York City, and he can definitely apply makeup like nobody's business. He may only be in high school, but when he lands the job of his dreams--makeup artist at the FeatureFace counter in Macy's--he's sure that he's finally on his way to great things. But the makeup artist world is competitive and cutthroat, and for Carlos to reach his dreams, he'll have to believe in himself more than ever. After Ma went to Parents’ Night, Rosalia and I went to McDonald’s. Rosalia told me again she thought I was talented and that I was gonna be famous. I asked her to buy me an extra bag of chocolate chip cookies and an all-chocolate sundae to prove she really meant it. By the time I got to Sojourner Truth/John F. Kennedy Freedom High School, I knew if other people could get paid as makeup artists, I could too. I already had a job after school being an assistant to all the teachers in a day care program. I didn’t love my job, but I did love being able to go shopping for makeup at Little Ricky’s on Thirteenth Street, where they had the wildest stuff. I’d run home, lock my bedroom door, and try it out immediately. Sitting on the side of my bed, studying my face in my two-sided makeup mirror (one for normal view, one for super-close-up) was like school after school. It was me practicing the thing that I knew would make me famous someday. No matter what any of them said, the girls at school had to admit I was an expert. And the boys who got away with eyeliner because they were supposedly rockers even asked me for tips on how to put it on straight. I was really happy to tell them, because crooked eyeliner is so whack, it makes me nuts. I know it sounds like I’m exaggerating, but the idea of it made me stop breathing for . . . well, a few seconds at least. I don’t know why I hadn’t thought of it first. I guess I’d only pictured doing Mary J. Blige’s makeup before a concert, or maybe Rihanna’s, or taking a month off from school to go on tour with Janet Jackson because she insisted if she didn’t have me she couldn’t do the tour. I hadn’t thought about working at a department store. Even though I was sure of what I could do, I thought working for Macy’s was a long shot, a fantasy that was nice to talk and dream about, but soooo unlikely. As usual, when Angie’s insecurity took over her brain, everything I liked about her, including her common sense, suddenly disappeared. “If you want the job that badly, why don’t you just show up and ask them yourself?” She was all huffed up. “Anything, Ange, anything!” I knew she was gonna ask that, when we both worked at Macy’s, I do her makeup every Saturday, and I was more than happy to say yes. Angie said, “And I don’t think we have to worry about me ever being a hundred and three pounds, unless somebody sews my mouth shut!” She laughed, one of her big old Angie laughs, which is one of my favorite sights and sounds in the world. And I started picturing myself behind the biggest, most fabulous makeup counter in Macy’s. Bil Wright is an award-winning novelist and playwright. 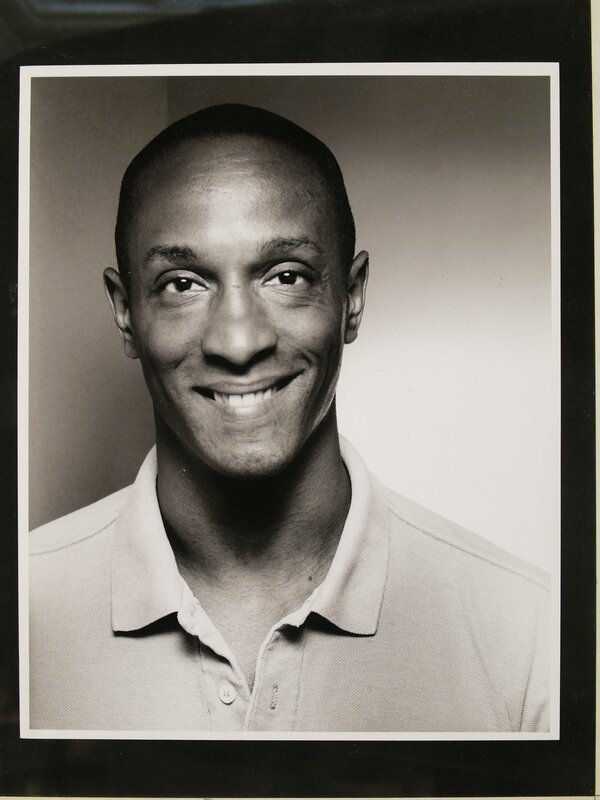 His novels include Putting Makeup on the Fat Boy (Lambda Literary Award and American Library Association Stonewall Book Award), the highly acclaimed When the Black Girl Sings (Junior Library Guild selection), and the critically acclaimed Sunday You Learn How to Box. His plays include Bloodsummer Rituals, based on the life of poet Audre Lorde (Jerome Fellowship), and Leave Me a Message (San Diego Human Rights Festival premiere). He is the Librettist for This One Girl’s Story (GLAAD nominee) and the winner of a LAMI (La Mama Playwriting Award). An associate professor of English at CUNY, Bil Wright lives in New York City. Visit him at BilWright.com. 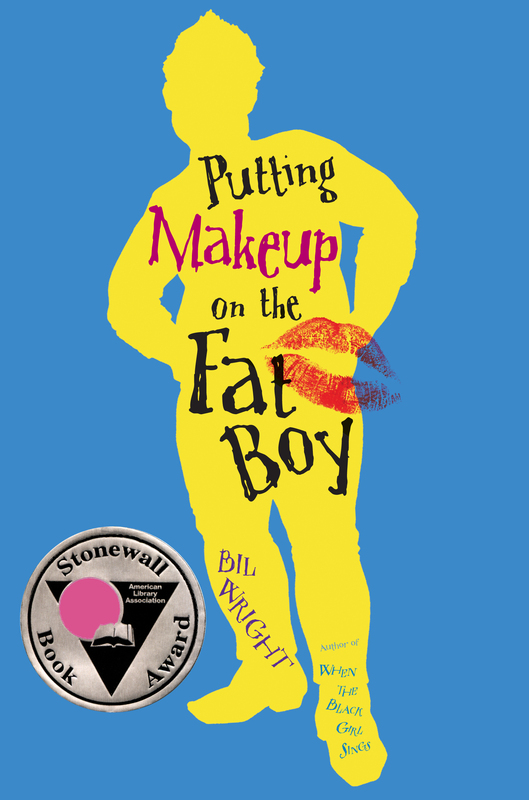 "Wright gives voice, complexity, and heart to the kind of character often relegated to a cliché sidekick role...[Carlos is] a walking example of the inner strength teens need--regardless of their sexuality."